Do you want a diffuser that doesn’t require you to keep refilling it with water on a regular basis? Would you like a diffuser that operates for your full sleep cycle? Check out this 500ml diffuser from VicTsing! It can run up to 14 hours and will work in a larger space than many diffuser options on the market. Ultra-Quiet: This diffuser features a Water-Retaining Cover designed to reduce noise. Auto Shut-Off: Designed with a safety system which will shut the unit off when water runs out. 7 Colors of LED Lights: Choose the color that suits your mood. Each color has 2 brightness modes (dim and bright). Set to cycle through colors or set to one color. Can be used as a night light. Longer Misting Time and Larger Aromatherapy Area: This diffuser will run up to 14 hours in low mist continuous mode. This unit is appropriate for an area of 215-269 sq. ft. This is a larger range than many other diffusers. 4 Timer Settings: 1 hour, 3 hour, 6 hour or continuous mode, allowing for 7-14 hours of working time. Backed by 45 day money back guarantee and 12 month worry free warranty. A few customers stated that they found this aromatherapy diffuser to be too loud. They said they did not like to hear the gurgle of water. Some people enjoy the sound of water and find it peaceful and relaxing, even therapeutic and others may not. This is a personal thing. The modern wood grain style of this essential oil diffuser looks great and will go perfectly with any décor. It’s ideal for any space! With this diffuser you can protect your family and loved ones from dry air, allergens, dust and more. Adding several drops of your favorite 100% pure essential oils to this unit will fill your room with a beautiful fragrance. Essential oils can be beneficial to your overall health and well-being. This diffuser works really well and exceeded our expectations. 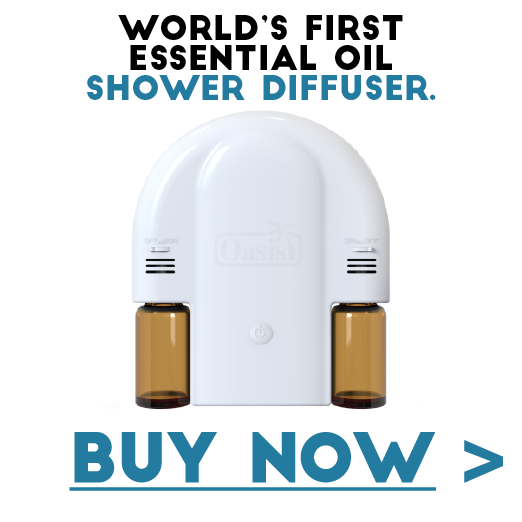 The diffuser is set up in our bedroom and we can smell the oils in the main living room of our 1700 sq. ft. house. This diffuser is the perfect size for me. I only add 5 drops of cinnamon essential oil and my house smells great for 48 hours. No joke! I use this diffuser when I sleep so the 500ml tank is great! There is a slight bubbling sound but for me that is a form of therapy. I will be buying another one as a gift. I’ve had a few different diffusers. This one is the best. It is easy to fill and I like the size as I do not have to constantly refill it. I hope you found this review helpful. I wish you great health and happiness. Have an awesome day! This week I have been studying Lavender essential oil. I am sure most people are familiar with it in one form or another. It’s always listed as one of the top essential oils in every list I have seen. Since this is the case, I thought it would be a great topic to study and write about. The Lavender (genus Lavandula) plant is a member of the mint family. It’s native to countries bordering the Mediterranean. Now days these plants are grown in many countries and are common in herb gardens for their fragrant leaves and attractive pinkish purple, violet to blueish-indigo flowers. The word “Lavender” is derived from the Latin word lavandula, which comes from the Latin word lavare which means “to wash”. I am happy to report that many scientific studies have been made recently to determine the validity of using Lavender for therapeutic use. It seems to me the evidence is accumulating, and this is an awesome thing! The use of Lavender has been documented for over 2500 years. Here are some interesting tidbits from history regarding this awesome plant. Ancient Egyptians used Lavender for perfume and mummification purposes. The Greeks used Lavender for back aches and to fight insomnia. In Medieval and Renaissance France, women that washed clothes were known as “lavenders”. The plant was used as a soap and clothes were laid to dry on Lavender bushes. It was also used to ward off infection and heal wounds. During the Great Plague in London (17th Century), Lavender was used as a remedy. Lavender is known to speed up healing of wounds (cuts, bruises and burns). In fact, in the early 20th century, a chemist by the name of René-Maurice Gattefossé accidently burned his hand while working in his laboratory. He placed his hand in the only liquid nearby (a vat of Lavender essential oil). To his surprise, his injured hand healed quickly and he was left with only a little scarring. After this discovery he continued to study essential oils and the healing properties of plants. In fact, he coined the word Aromatherapy. Inhaling Lavender is known to improve quality of sleep and alleviate insomnia. This is due to its sedative and calming properties. Unlike most prescription drugs, Lavender does not cause unwanted side effects. To gain the benefits of Lavender essential oils for a better sleep, you may rub 3-5 drops directly on your temples and neck or add 10-15 drops into your bathwater and relax in the tub for a while before heading to bed. Diffusing this oil prior to bedtime or while you sleep will also improve sleep and relax your body. Many studies have shown that Lavender helps to reduce pain. Inflammation and pain can be eased by rubbing the oil on the painful area of the body. Recent studies show that Lavender essential oil may help to ease symptoms of premenstrual symptoms (PMS). Many women in the reproductive stage of life experience a wide range of symptoms prior to their periods. Despite PMS being so common there is no one single treatment that is universally recognized as effective. For this reason, many women try alternative therapies such as aromatherapy (Lavender, for example). I’m sure most of us have heard of free radicals. They can be very dangerous and may cause damage to your body. Free radicals come from normal metabolic processes in the human body or from sources such as X-Rays, cigarettes, air pollutants, industrial chemicals, some foods and various other sources. The body’s natural response to free radical damage is to create antioxidant enzymes. Recent studies have shown that Lavender oil increases the activity of the body’s most powerful antioxidants. This is great news! Many recent studies have been made in the area of using Lavender to reduce stress and improve mood. One study published by the International Journal of Psychiatry in Clinical Practice found that taking large amounts of Lavender essential oil internally alleviates depression, sleep disturbance and anxiety. I would not recommend this unless you are under the care of a qualified medical professional, however this is wonderful news! In addition, Lavender has been found to be helpful with Generalized Anxiety Disorder (GAD) (5), Postpartum Depression (PPD) (6) and Post-Traumatic Stress Disorder (PTSD) (7). It is also great to know that there are very little to no side effects or withdrawal symptoms associated with Lavender. There have been several studies to support the idea that Lavender may be helpful in conditions such as Alzheimer’s disease (8), Dementia (9), Stroke (10) and other cognitive impairments. Researchers believe that Lavender’s neuroprotective effects are due to its antioxidant properties. To gain the benefits of Lavender essential oil, inhale it directly from the bottle, use a diffuser or apply it topically to the back of neck and temples. You may want to dilute it with a carrier oil if you have sensitive skin. Due to its antimicrobial and antioxidant characteristics, Lavender mixed with a carrier oil has wonderful benefits for your skin. To gain the benefits of Lavender essential oil for your skin, mix 3-4 drops with Jojoba oil or coconut oil and massage into skin. You can also add Lavender EO to your face or body wash. Another great essential oil for your skin is Frankincense. Mix Lavender and Frankincense with a carrier oil and apply to skin every morning, before bed and after a bath or shower. It will do wonders! Inhale Lavender oil for 15 minutes to reduce the pain of a migraine headache. You may like to try combining a few drops each of Lavender and Peppermint essential oil with a carrier oil and rub on your temples and back of neck for pain relief. Diffusing these oils is also an option. Many perfumes and air fresheners are very strong and some people can’t tolerate the intense aromas. If you would like to try a natural perfume then give Lavender essential oil a try. It’s great for both men and women. Use topically (2-3 drops) on your skin or hair, with or without a carrier oil. It is considered safe in most cases to use Lavender without a carrier oil; this is NOT the case for most essential oils. Add a few drops of Lavender to a spray bottle with water. Spray yourself and almost anything else, so easy! Add a few drops to your lotions or even your shampoo! Add a couple drops of Lavender oil to your favorite carrier oil and apply to dry, chapped lips. Add a few drops of Lavender to your favorite carrier oil and apply gently to your sunburn to prevent itching and peeling. Are you prone to motion sickness when you ride in the car or fly in a plane? If so, you may want to spray some Lavender on your clothes or rub some onto the back of your neck and temples. Lavender can be soothing for an upset stomach. The above information is not exhaustive. There are many more ailments that Lavender can be used for such as acne, allergies, asthma, athlete’s foot, chicken pox, colic, dermatitis, earache, flatulence, insect bites, scabies, sprains, strains, stretch marks, vertigo, whooping cough…the list goes on. Lavender is truly a magical plant. Like almost all essential oils, Lavender EO can promote general mental and physical health (overall well-being!). In this article I have added many links to studies that have been performed to better understand the benefits of Lavender. It’s great to see scientific research being done on the use of Lavender and many other natural remedies that have been used for thousands of years. If you like to blend oils, you may be interested to know that Lavender falls into the middle to top note category. For more information about notes and blending oils check out my article titled Essential Oil Notes-What does this Mean? Thanks for taking the time to read this article. I would love to hear from you if you have any comments about Lavender essential oils or aromatherapy in general. Please feel free to use the box provided below. I hope you have a fantastic week, stay happy and healthy!